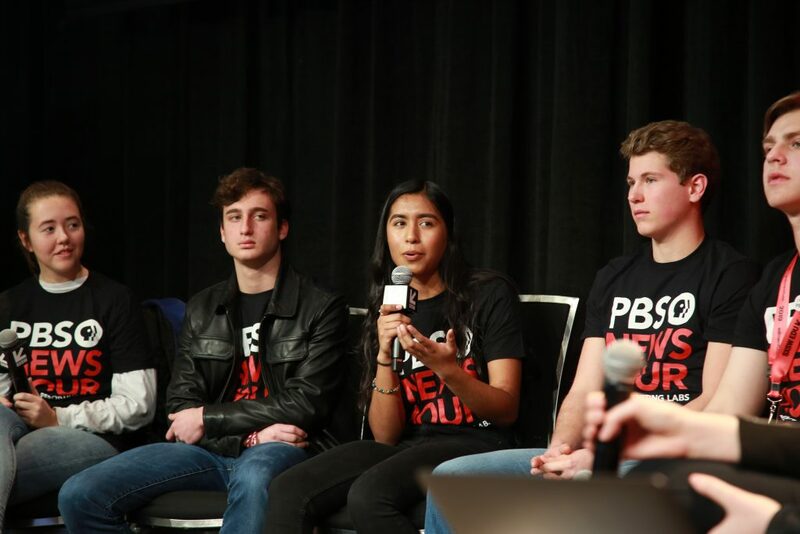 Students from Austin-area high schools were front and center at the 2019 SXSW EDU conference, interviewing keynote speaker Paula Kerger, the president of PBS, appearing on panels discussing media literacy and youth voting, and taking over Instagram with flash interviews of attendees. In the nine years that Student Reporting Labs has been a part of SXSW EDU (yes we presented at the inaugural 2011 event), the festival has undergone dramatic changes. And because SRL is responsive and simple at its core—students produce video journalism from a youth and local perspective—we’ve been able to speak to the prevailing festival themes from 21st century skills, real-world assessments, mentoring, project-based learning, media literacy, student voice, and now civic discourse, SEL, and whole learner education. Mercedes Ezeji, a 2016 SRL Fellow from Pflugerville High School in Austin and Mason Berger, a senior at Pine Crest School in Florida interviewed Paula Kerger in the SXSW EDU press room. The wide-ranging conversation covered everything from her start in public broadcasting (grandfather helped start a public radio station in Baltimore!) to misadventures in organic chemistry to cutting deals with Netflix and Amazon. Kerger spoke about the difference between commercial and public journalism. “At our core we live in communities and I think that when you’re part of a community that you serve and people know you…you’re going to be more accurate in the way that you capture stories because you understand the community,” she said. On Wednesday, SRL Director Elis Estrada took over PBS Teachers Instagram to preview our Media Literacy Takeover and Youth Vote panels. By 9:30am, students from Pflugerville, Manor, Lanier, and Westwood arrived at the Austin Convention Center ready to share stories about junk news and excited to teach media literacy strategies from our partners at MediaWise, a new initiative from the Poynter Institute that aims to teach one million students how to sort fact from fiction online by 2020. These strategies include: lateral reading, reverse image search and keyword checks. 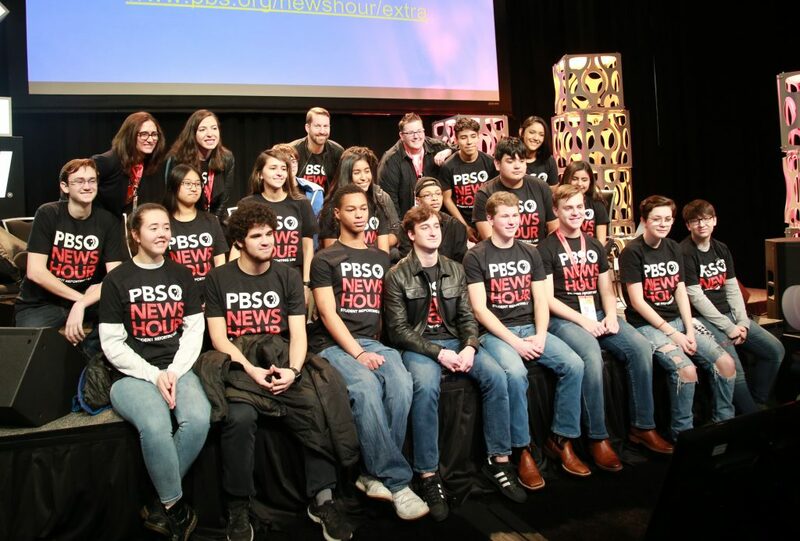 PBS NewsHour Student Reporting Labs is helping to identify and train student fact checkers. SXSW EDU holds a special place in SRL’s heart. Austin was one of the first Reporting Labs, and thanks to former teacher Gil Garcia, a strong partnership with PBS local station KLRU and word of mouth, SRL is now in over 14 Texas schools. Check out a behind the scenes look at our time at SXSW EDU!